A CCTV footage showed a woman coming out of her residence and then running back screaming. She had been reportedly stabbed with a knife by a man. 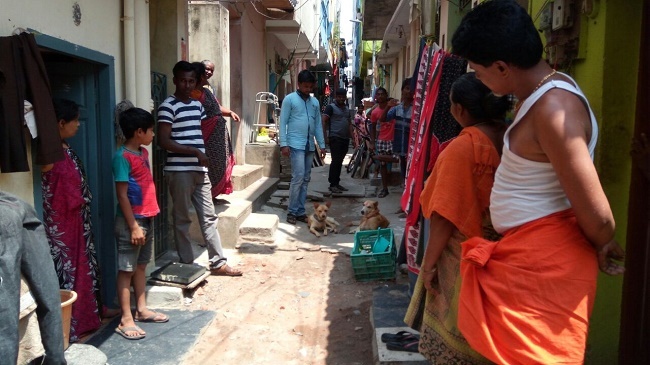 Two dogs can be seen running around the rickshaw in which she was taken to hospitals. 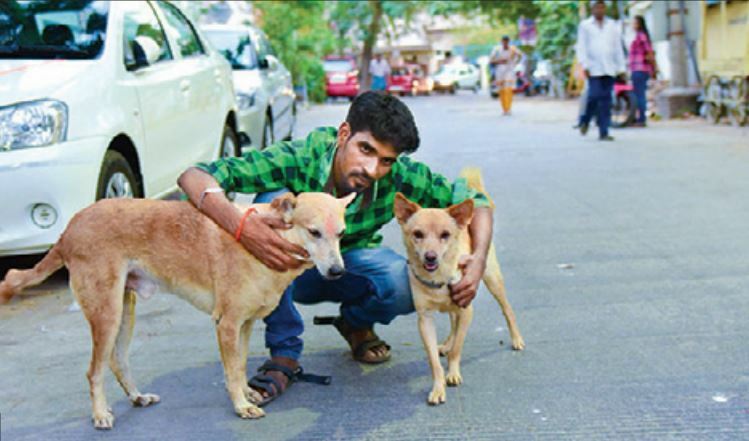 These two street animals are no ordinary dogs in Chennai as they became heroes after helping people to nab the accused who tried to flee. said the autorickshaw driver who witnessed the scene and took the lady to hospital. R Raghunath, 23, stabbed C Suchismitha, 31, on Jagadambal Street in West Mambalam last Wednesday as an act of vengeance. Raghunat and Suchismitha were colleagues at the Ashok Leyhand’s R&D department. Last year, the lady had alleged the accused of touching her inappropriately while boarding on a bus. She had informed her father, who worked in the same company, about the alleged sexual harassment by Raghunath. The father took the matter to higher officials and Raghunath was fired for this alleged sexual harassment. On 6:60 AM on Wednesday, Raghunath waited the lady to come out of her hostel to leave for the job. He came out of a corner where he was hiding and stabbed the lady in her stomach. An rickshaw driver witnessed the scene and ran for the rescue of the woman. The accused threatened the autorickshaw driver too and tried to flee on his bike. 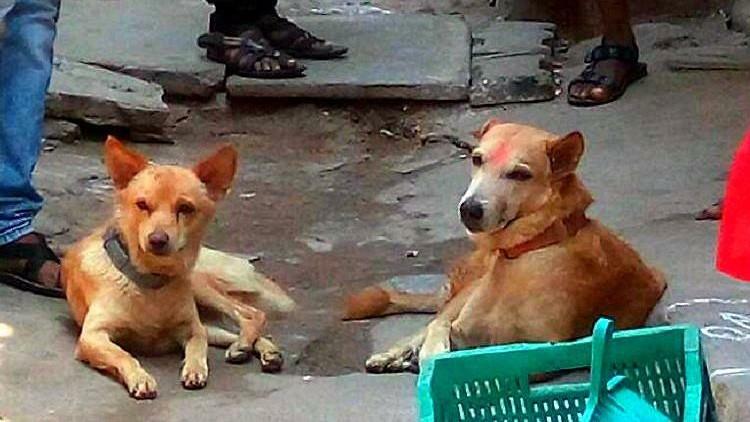 The driver, however, called two street dogs, both named puppy, who wasted no time and hunted down the accused. The accused tip of the bike as the dogs bit him. They held him down until people caught him and handed over to the police. The autorickshaw driver then took her to the hospital in Teynampet where she is receiving treatment for abdominal injuries. The doctors said that her condition is normal now. ‘ says Natasha Chandy, a Bangalore-based Canine Counselor. Dogs can sense negative and positive emotions, distress, and calls for help. The screams of lady might have kicked in their chasing instinct, she further added. 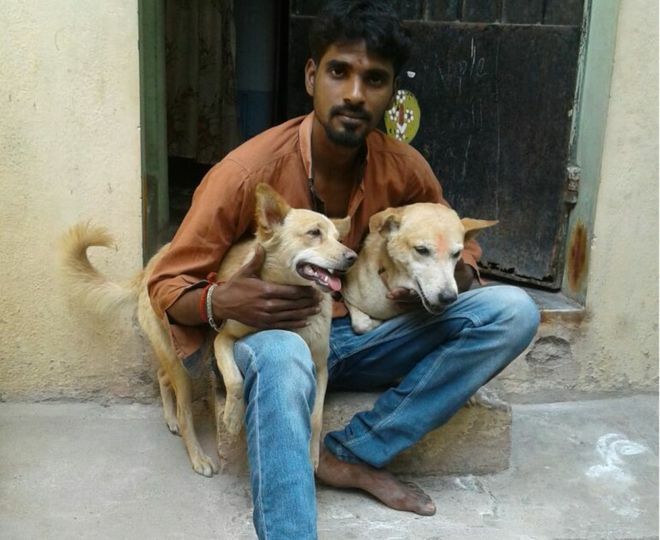 A few days ago, a Labrador in Bangaluru had fought and chased away three robbers armed with swords and machetes on seeing his master in trouble. Similarly, there are other instances when dogs including strays proved they are, indeed, human kind’s best friend.